Free YETI Ice 1lb with Select Coolers. Add any 2 select items to your order and promotion will be applied. Your buddy just invited you to go out for a day on the lake, but you have to leave now. No time to stop by the gas station to grab some ice, so you pack up your YETI cooler with a few cans of your favorite beverage and the YETI ICE 2lb ice pack and by the time you all are out on the water, your drinks are cool enough to be enjoyed. 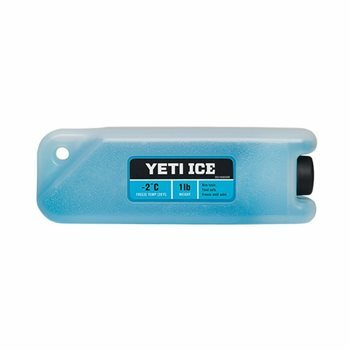 The ICE 2lb holds a temperature of 28° F, is impact resistant, and doesn't create a messy puddle you have to clean up after it thaws.